It’s Jase here from the Noonhammer & ODAM podcasts. 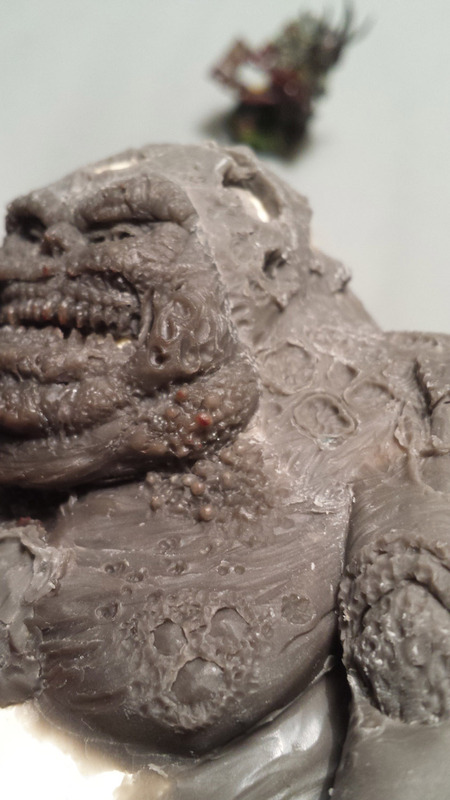 Phil has asked me to write a few articles about sculpting and so I thought I’d kick off with the Nurgle. First off if you’re still reading this you’re sick in the head. Who in their right mind would want to know how to sculpt boils, scabs and puss filled sores? What’s wrong with you? Well whatever it is, I’ve got it too. Making Nurgle stuff is a fairly easy process. The paradox of Nurgle is that while well sculpted guts, boils and poxes look amazing on the models, just smashing a blob of green stuff on them usually doesn’t look too bad either. I’m going to show you some simple ideas that, when grouped together will look pretty disgusting. First up we have the recessed scab. This can be achieved with the blade of your x-acto knife by making light cuts into the surface. (1) Continue this until you have a circular pattern (2) Then with a sculpting tool, push around the edge of the circle to make it rough and irregular. 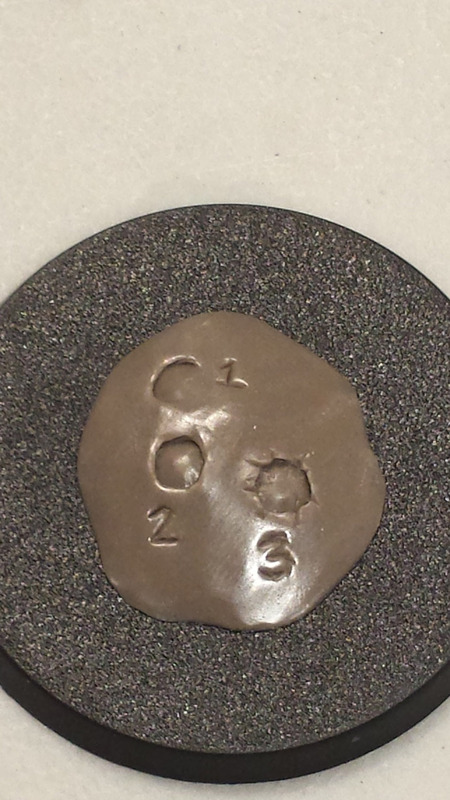 (3) You can also add texture to the actual scab surface, just making some rough indents will look gross. Feel free to combine the scab with the rot I demonstrate below, that’s really disgusting! 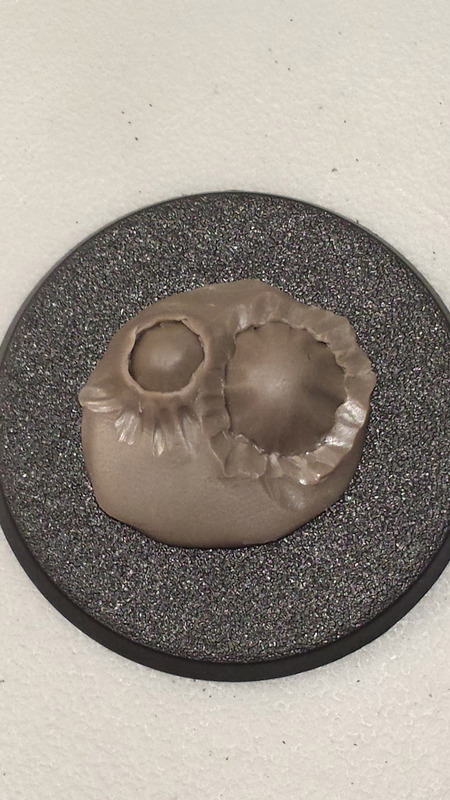 Boils are simply made by blending a small lump of clay/putty onto the surface and smoothing it into the skin. For a typical boil, try to get the blending completely seamless, keeping in mind that it is under the surface of the skin. What gets really nasty is when you put groups of boils together. Try to vary the sizes somewhat so it looks more realistic (see below). As you get more comfortable making this foulness, experiment with stretching the skin around the edge, just a few light grooves will do the trick (see below). You’ll see in this picture that I have made a boil that erupted through the first layers of skin, but not yet popped. Once you have placed the boil, take a bladed tool and cut in around the edges, slightly flaring up to show ragged skin that broke open (see below). 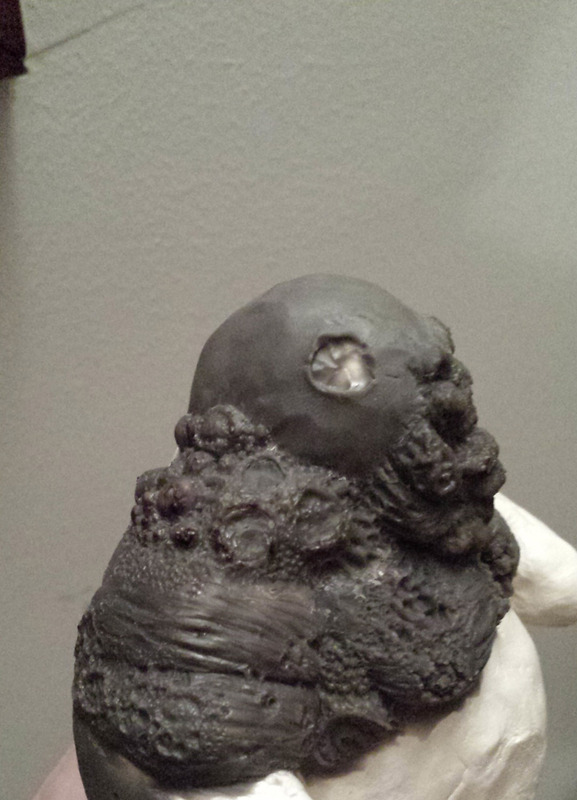 Lastly and my most favourite pox to sculpt, is the Rot! This is probably the easiest one and requires the least finesse, but you really want to be careful to make sure it looks “natural”. Use a circular object (the end of a paintbrush is great) and make some round holes in the surface. You can vary the depth slightly if you like, in fact that adds to the effect nicely, so go ahead and do that. (1) Next, take a smaller round object and repeat this process, around the first set of holes, then yet again with another smaller round object. (2) Lastly, take the smallest round tool you have (not even gonna touch that one) and repeat this process yet again, this time purposefully going back over the larger holes you already made. (3) Note that I completely obscured the original holes, this is by design. Nature is rarely truly uniform, and with the unnatural Nurgle plagues, strive to hit a balance between “that looks like it could happen” and “that looks like the work of a sinister Chaos god”. As with anything, practice makes perfect. But don’t worry if your work doesn’t look completely how you imagined it. 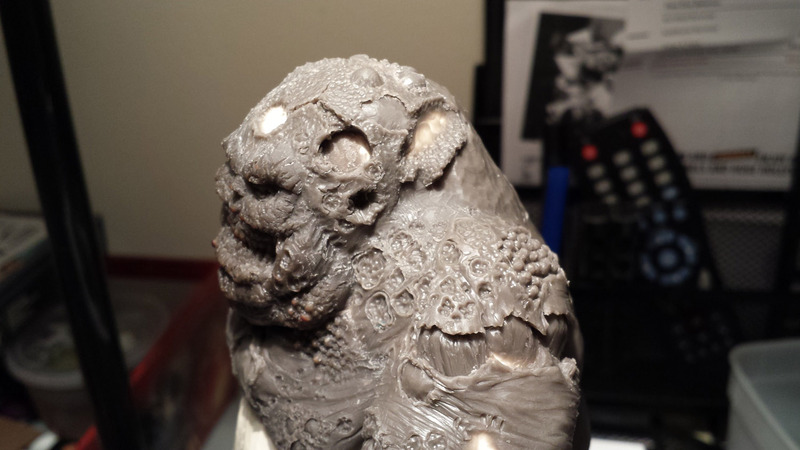 Like I said at the start, Nurgle can look like literal crap, and yet still be exactly what you want! One last item of note. 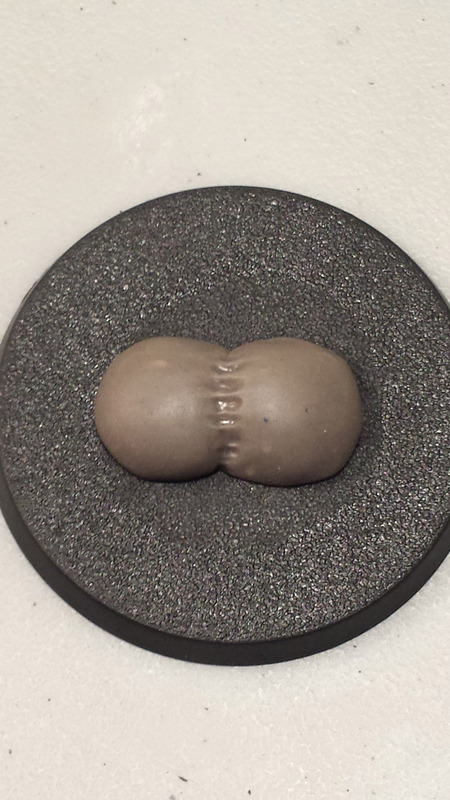 When I’m sculpting these things, especially with Nurgle, I’m thinking ahead to the painting stage. 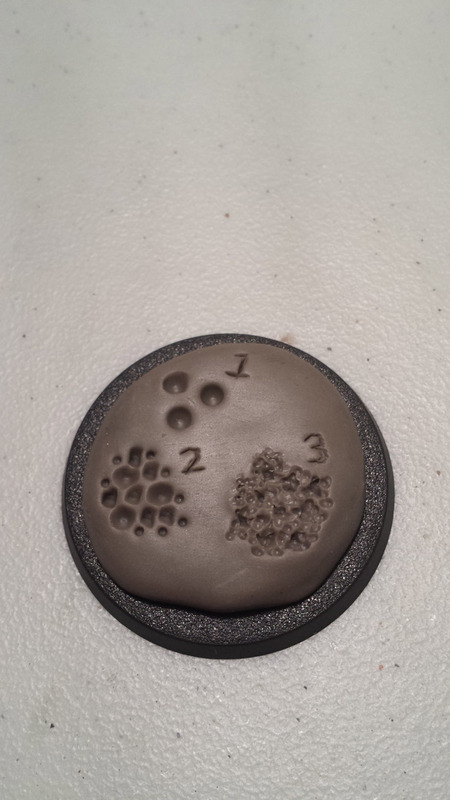 Having an idea of how you will paint this pox or that pox will really help you get a good look at your sculpting of said pox. If you have any questions please contact me at warsulptor@gmail.com. And may Nurgle bless you and keep you.